Coppell sophomore Maya Ozymy takes the ball from a Mansfield Lake Ridge defender on Tuesday night at Pennington Field in Bedford. In overtime, the Coppell girls soccer team defeated Lake Ridge, 1-0, in the Class 6A Region I area playoffs. 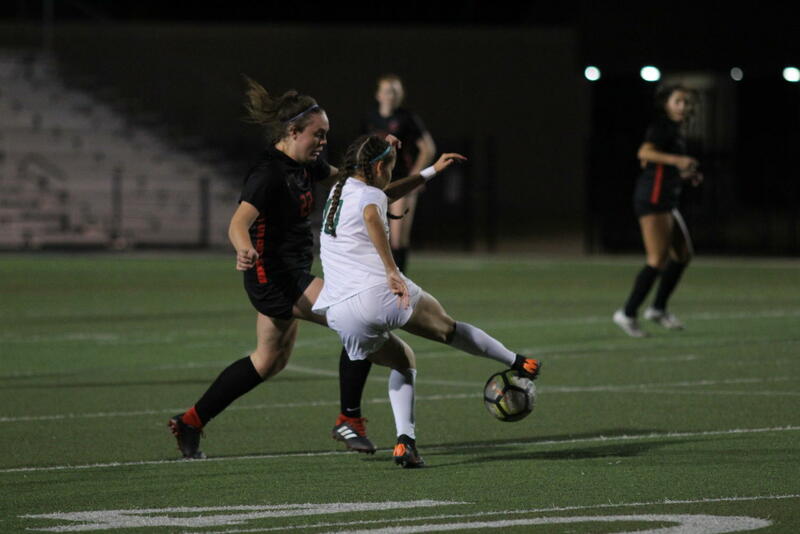 BEDFORD – Although it took all of regulation and another four minutes for the first goal to go in, it was still a thrilling match between the Coppell girls soccer team and Mansfield Lake Ridge. Coppell (26-1-1) defeated the Eagles (10-3-1), 1-0, in the Class 6A Region I area playoffs. The Cowgirls play Southlake Carroll tomorrow night at 7:30 p.m. at Denton High School in the regional quarterfinals. The Cowgirls won in overtime with a goal by freshman forward Michelle Pak on a rebound. Senior Rebecca Watley pushed through a defender and took a shot, which the goalkeeper saved. However, Pak was there to put the ball in after it bounced off the goalie. Lake Ridge’s defense was solid, as is evident in the low score, but one of its main strengths is speed. Almost every scoring opportunity was created on a long, albeit quick, run by one or two players who ran the ball up the field. And indeed, it was not pretty the entire game. Two yellow cards were awarded throughout the game, as well as constant frustration and aggressiveness from both sides. That competitive spirit served as a motivator for many of the players. Although Alonzo did not score, she was a main component in many of Coppell’s scoring opportunities, including two set-plays from a free kick and a corner kick. 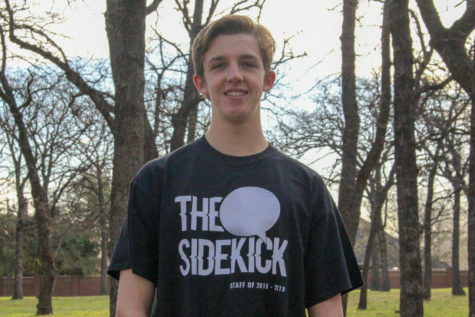 Follow @SidekickSports on Twitter for updates on tomorrow’s game, as well as live-coverage tweeting.